November continued to be successful at the Tattersalls December Foal Sale in Newmarket. A total of 20 foals were consigned by us, selling over Wednesday, Thursday and Friday. November seems to have become our busiest month in the year, with drafts going to both the Tatts Ireland NH Sale and the December Sale in Newmarket. At Tattersalls Book 2 this week, 2 of our homebred yearlings, sold by us last year as foals at Tattersalls December Sale, went through the ring. Lot 1210 - Acclamation x Divine Power (c) realised 65,000gns Lot 1222 - Equiano x Dunya (f) realised 50,000gns Well done to all connections and here's hoping they go on to do well. Once again this 4 year old colt out of Penkenna Princess won at Nakayama in Japan on Saturday. June was a busy month for us. After Goffs Landrover sale, it was back home for a week before the Tattersalls Ireland Derby Sale in Fairyhouse. 9 horses were consigned by us there, with trade once again proving exceptional. 4 of our consignment were fillies and trade for them was more than holding its own. Lot 136 Refuse to Bend x Strictly Cool made €55,000 on the first day, with Lot 150 by Midnight Legend following on later realising €42,000. Our top was Lot 187 Turcagua - Turgeon x Acancagua, who realised €130,000. 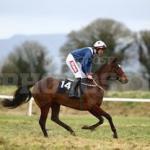 This 3 year old gelding was one of 7 on day one to make over the €100,000 mark. Taken yesterday, these are two of our draft of 5 horses going over to Ireland next weekend for the Goffs Landrover Sale. Winning his 8th race on the bounce, this awesome 7 year old gelding, broken by us back in 2008, won The Queen Mother Champion Chase by an amazing 19 lengths. Congratulations to all connections. This homebred filly, sold by us at Tatts Ireland foal sale 2008, won the EBF maiden hurdle at Downpatrick easily yesterday. 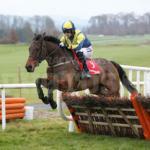 She is trained by Colin Bowe and was ridden by Davy Russell. This 6 year old, bought by us as a foal, proved an impressive winner on Saturday at Newbury, winning for the 4th time on the bounce. He was ridden by Sam Twiston-Davies and is in training with Nigel Twiston-Davies. This 2012 colt, out of the Listed winning dam Oligarch Society was consigned by us at Tattersalls Ireland February Sale and sold for €40,000 to Aiden Murphy. Saturday proved to be yet another awesome day's racing with Cheltenham managing to stage its festival trials day, against all odds. Sprinter Sacre won the Victor chandler, his 7th chase on the bounce, in heavy conditions, proving that he is definitely the one to beat in the Queen Mother Champion Chase in March. 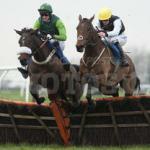 This 5 year old won over hurdles impressively up at Wetherby on Saturday. 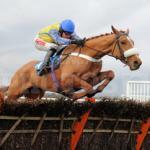 Sold by us back in 2011 at Doncaster Spring Store sale, he was ridden by Jason Maguire and is in training with Donald McCain. View the Mill House news archives from previous years.